Want to see all the technologies used by bigpoint.com? Bigpoint GmbH is a German video game developer. The company develops stand-alone browser-based games as well as social network games. Bigpoint also runs a gaming portal website with a number of browser-based massively multiplayer online role playing games it has produced and has over 200 million registered users (announced in June 2011). Bigpoint.com states that 337,104,419 players are registered in the top right corner, as of 10/10/13. NBCU has featured some of Bigpoint's games on the websites of some of its cable channels. 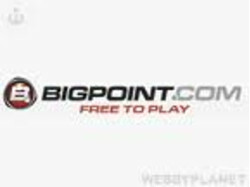 For a quick look at additional technographic info on bigpoint.com or any domain on the web, download our Chrome Extension. Check out our help article to see how Datanyze Insider can help you.